Look at that face. Look how benevolent he looks. As world leaders including Pres. Obama streamed into Riyadh this weekend to pay their respects to the late Saudi King Abdullah bin Abdulaziz, the obituaries and op-eds that emerged painted two very different pictures of the deceased monarch. On the one hand, world leaders and some foreign policy analysts called the king a reformer who sought “discreet” changes for women including a pledge to allow them to vote and run in 2015 municipal elections, and who sought “stability” in the region as a whole. In such analyses, Abdullah was a benevolent dictator whose moderate policies struggled to find a place in a conservative society. On the other, Abdullah’s less-publicized regressive policies come to the fore as examples of his autocratic tendencies and refusal to make real changes in the lives of most Saudi citizens. Despite some advances for women during his rule, his policies towards female rights and activism remained woefully medieval. 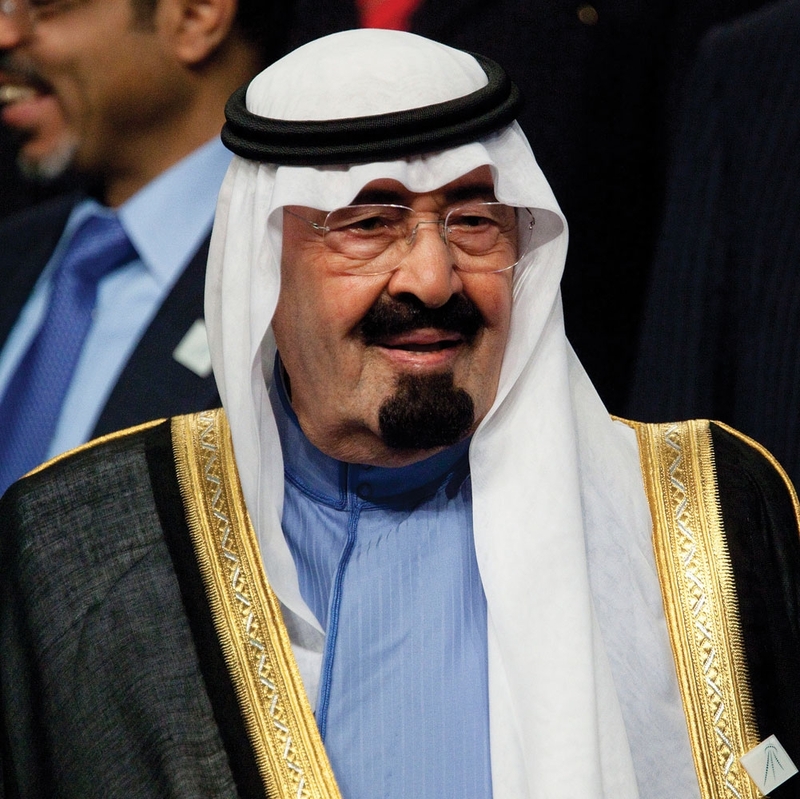 Four of his 15 (or so) daughters have been held under house arrest since 2002 for speaking out about the deplorable state of women’s rights in the Kingdom. Women continued to be prosecuted and cruelly punished for personal indiscretions such as (alleged) adultery, divorce, and even having a boyfriend. The country’s large population of foreign domestic workers and stateless people enjoy virtually no rights, and yet are often held to account under Saudi law by the regressive justice system that is almost certain to find them guilty of alleged crimes. Countless activists, bloggers, human rights lawyers, LGBT citizens, and stateless people have been arbitrarily detained, tortured, and executed in brutal fashions (although one could argue that all execution is brutal) under Abdullah’s rule. While Abdullah’s publicists did a very good job lauding his “reformist” policies, surely the examples to the contrary outweigh his supposed reforms, many of which were largely window dressing on a dictatorship that insists on the suppression of any hint of dissent. In October of last year, my colleague Colin wrote with guarded optimism about the ceasefire between the Nigerian military and the terrorist group, Boko Haram, questioning whether this news was actually too good to be true. In the months following that announcement, we’ve come to see that our cynicism was unfortunately well placed. In November, Boko Haram’s leader, Abubakar Shekau released a video in which he denied any claims made by the Nigerian government about the outcome of ceasefire, explicitly stating that the 200 kidnapped schoolgirls from Chibok had converted to Islam and been married off. This video dealt what could been seen as the final blow to the legitimacy of the statements coming from President Goodluck Jonathan’s administration. Criticisms of this administration grow more vocal and more numerous, as analysts say that the only solution to Boko Haram’s attempted takeover of the Nigerian state is a military solution. Boko Haram will stop at nothing in its advance through and out of Nigeria, and appeasement will certainly not end the violent rampages. If the Nigerian military were to pull back and effectively cede control of the territory the terrorist group already controls, it would only serve as incentive for the group to attack more towns and regions and expand its control. Yet as shocking as the attack is, it is not all that surprising. That it occurred in the middle of Paris, a Western city in a Western country, is slightly out of the ordinary for a contemporary terrorist attack. Much more often, we read about attacks from the supposed safety of Western communities as Islamabad, Baghdad, Kabul, Aleppo (and on and on) burn and bleed. This type of terrorist attack (akin to small-scale urban warfare) is growing more commonplace nonetheless, and attacks like the ones in Paris this week and the Boston Marathon bombings show that the West is far from immune from extremist violence. The growing pains (to put it mildly) felt by European nations as they struggle to forge common bonds among citizens from diverse backgrounds speak to similar struggles in the Muslim-majority world to bridge communal divides. Regardless of their vastly different political landscapes, efforts at integration and harmonization have similar effects in both regions: usually division, sometimes violence. Overnight in local time, two gunmen entered the Paris headquarters of Charlie Hebdo, a French satirical newspaper, and commenced a shooting rampage that would ultimately leave 12 dead. According to the Paris Prosecutor, the gunmen shouted "Allahu Akbar" and claimed to be "avenging the Prophet". 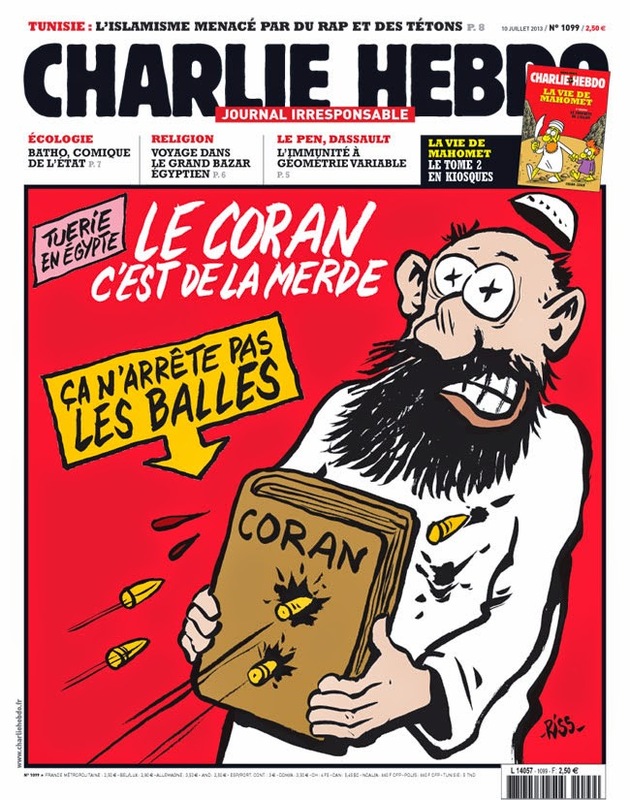 Not coincidentally, Charlie Hebdo has a long history of publishing anti-Islam cartoons: in 2011, their headquarters was bombed following the publishing of a cartoon depicting the Prophet Muhammad. And, as notable artists such as author Salman Rushie have learned in the past, radical Islamics take these criticisms of Islam very seriously, and often seek violent retribution. In this case, in what President Obama has called a "cowardly" attack, the reverberations are being felt around the world as the notion of freedom of speech is put into question. Protestors with signs that read "I am Charlie". There is a much larger issue at hand, though, and it is that of the broader effect of a booming Muslim population in Europe. Muslims now make up a majority in more than one European country, and currently make up more than 6% of the total European population. It has been estimated in recent years that the Muslim population in Europe will double by 2020. And the Muslim influence is being felt across all of Europe, no longer just in Turkey and other southeastern European nations. Diversity is often a step in the right direction, and the integration of different peoples is generally a good thing. In Europe, however, there have also been some negative ramifications. Xenophobia has become rampant throughout the European Union, especially in some of the Scandinavian countries in the north. This is not just directed at Muslims, although since they make up a substantial portion of immigrants traveling to Europe, they certainly bear the brunt of it. Xenophobia has become such a common sentiment, in fact, that parliaments and governments all over Europe have been increasingly susceptible to the influence of far-right, conservative parties that often have the backing of the general public. Holland's PVV party continues to enjoy mass popularity, despite its leader being on trial for exacerbating racial tensions and inciting racial hatred. It is these political parties that espouse the notion that immigration is bad, and that it is these outsiders that put native Europeans at risk. Unfortunately, these sentiments are beginning to spread beyond the far-right, and are entering the mainstream at an alarming rate. In Germany, for example, there have been weekly anti-Islam protests since last October. The protests, organized by a group known as Pegida, have grown to include as many as 20,000 individuals in instances and continue to garner support as they speak out against the "Islamisation" of Europe. Aside from Turkey, France has the largest Muslim population in Europe, and with it, the most anti-Islam sentiment and xenophobic tension. Their history if Islamic terrorism dates all the way back to the 1995 metro bombings - there have been numerous incidents since, including today's. Alas, European nations find themselves in an awful catch-22: jihadist Muslims will continue their bombings, shootings and other attacks in European cities in response to anti-Islam sentiment and criticisms like the cartoons Charlie Hebdo published; in return, xenophobia and anti-Islam sentiment will only broaden. This problem is especially acute right now, as Europe remains the primary recruitment zone outside of the Middle East for jihadi fighters to join the wars in Syria and Iraq. Countries such as Denmark have tried to be innovative in their efforts to rehabilitate known jihadi soldiers as opposed to jail them, but this social experiment will need some time before its efficacy can be determined. So what is Europe to do, then? The answer lies in integration. While the Muslim population has continued to grow, at tremendous rates in some countries, there has never really been much of a welcome for them in these countries. It can easily be argued that the number of Muslim politicians is woefully smaller in proportion of the Muslim population, meaning they are probably not getting the adequate representation they need in order to feel more at home. And in countries such as France (and, although I haven't done the research, probably others), laws have been established that contradict with Muslim traditions, such as France's ban on women covering their faces with hijabs in public. It is precisely because of this lack of a welcome that Muslims find it harder to assimilate into European culture. Without this assimilation, they probably perceive themselves more as outsiders than anything, and it's been widely documented that it is this very psychology that makes it far easier for someone to justify the use of violence on a broader community. Now, obviously, lone wolf attacks such as today's are not indicative of a broader population, and shouldn't be. 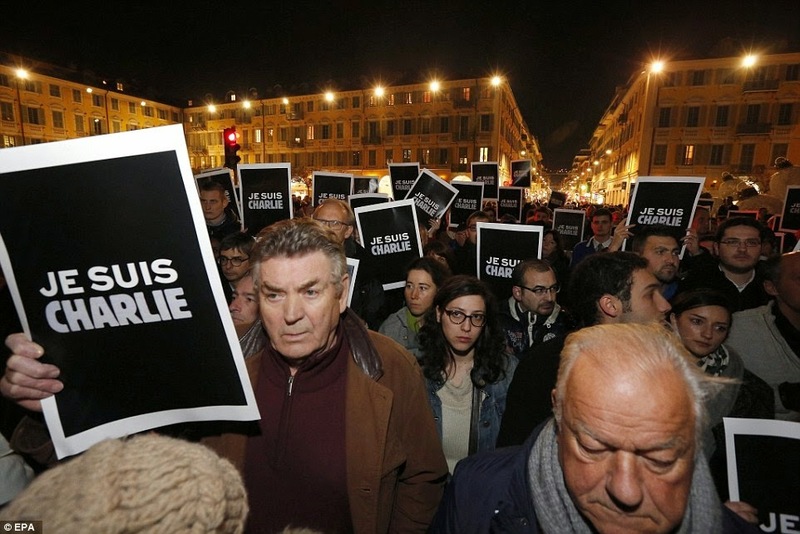 Just because a handful of terrorists attack Europeans does not mean all Muslims share that sentiment. It does, however, give us a reason to talk about the broader issue of xenophobia and the inclusion of Muslims into the European community - something that has lacked. The tragedy of today's attack on Charlie Hebdo's headquarters will not easily be forgotten, and sadly, may only exacerbate anti-Islam sentiments in Europe. It should, however, remind European governments that this is a population that is often neglected, and that more of an effort needs to be made to ensure that this population is treated as Europeans, not just Muslims. In doing so, Europe may prevent the next major attack or decrease the likelihood of ISIS recruiting its youth. In any case, it's an important step forward for a Europe that is going to continue seeing an influx of Muslim immigrants in the coming years, whether it likes it or not.